Escape LA is a feature that will routinely discuss day trips outside of Los Angeles to encourage discovery of Southern California’s outdoor opportunities. All features will not require overnight accommodations and can be accomplished within an 8 hour window of time. 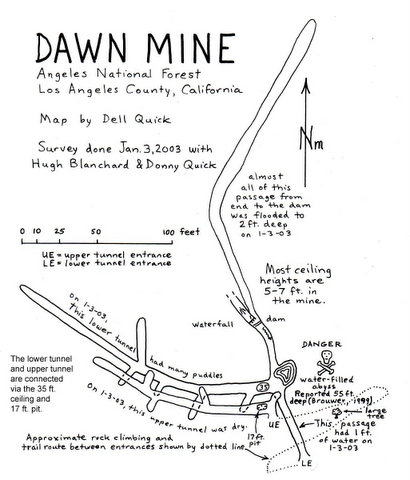 Most people don’t think of the Angeles National Forest as a hot spot for gold in the 19th century, but deep in Millard Canyon, just west of Echo Mountain, lies Dawn Mine. Dawn Mine was active between 1890 and 1950. The mine is about 500 feet deep, with an additional entrance blasted shut about 20 years ago. The historical use of this mine has little evidence, as little remains from these days aside from a giant water pump on the outside of the mine. But the mine has about 500 feet worth of exploration, including an underground water fall, some class 3 climbing, and a 50 foot abyss filled with water. Flash lights are strongly encouraged!! You’re looking at a strenuous 6 mile round trip hike. Its not that the hike is strenuous from altitude or hills, the hike is difficult from about 1.5 miles of brush to cut through, or boulders to scramble up. The trail itself gets difficult to see at this point, and then canyon has a few other turns that could lead you astray. 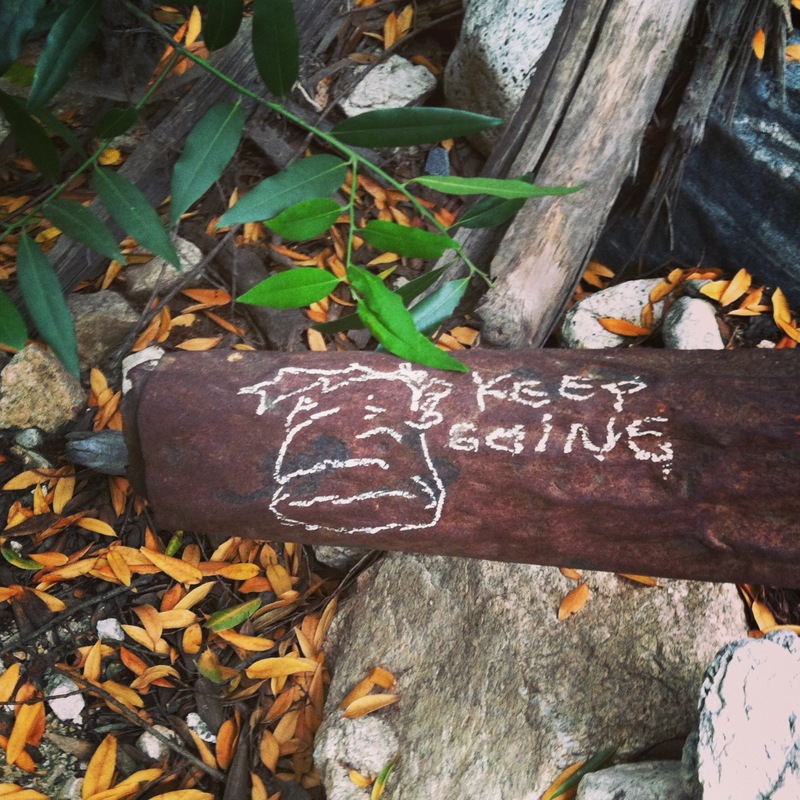 The best way to find your way from the dozens of rocks with arrows spray painted. Long story short, this trail is challenging for even experienced hikers. With that said, it’s an incredibly rewarding hike, and with ample foliage, you’ll find yourself shaded from direct sunlight for most of the hike. If you’re still reading at this point, then sounds like you’re up for the challenge. 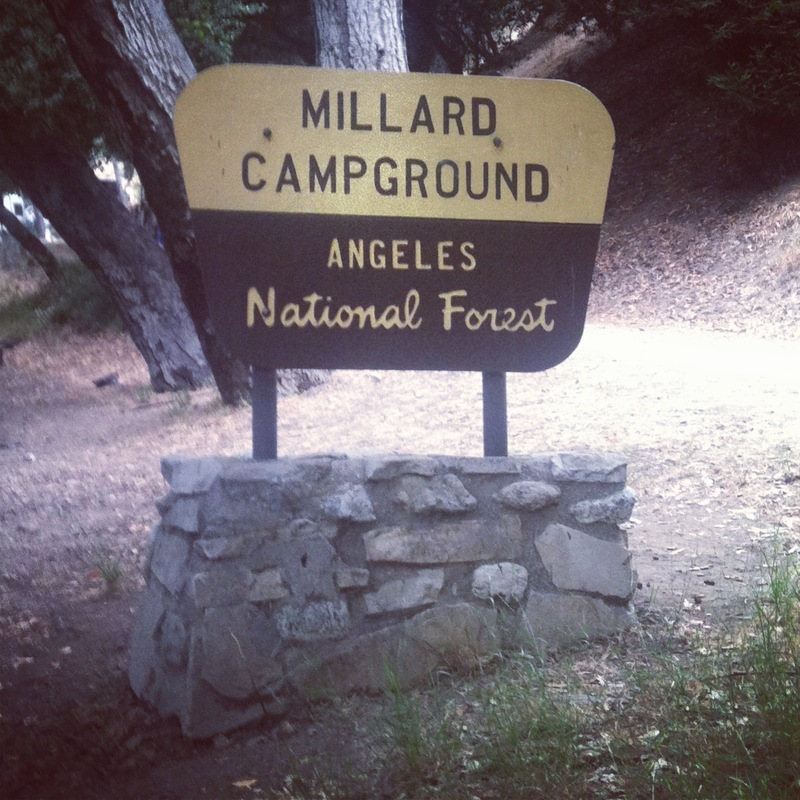 To start, the trail head begins at Millard Camp. Park in the lot and start walking towards the camp. As the road turns left toward the entrance of camp, take the trail up hill towards the right. This part is fairly easy. 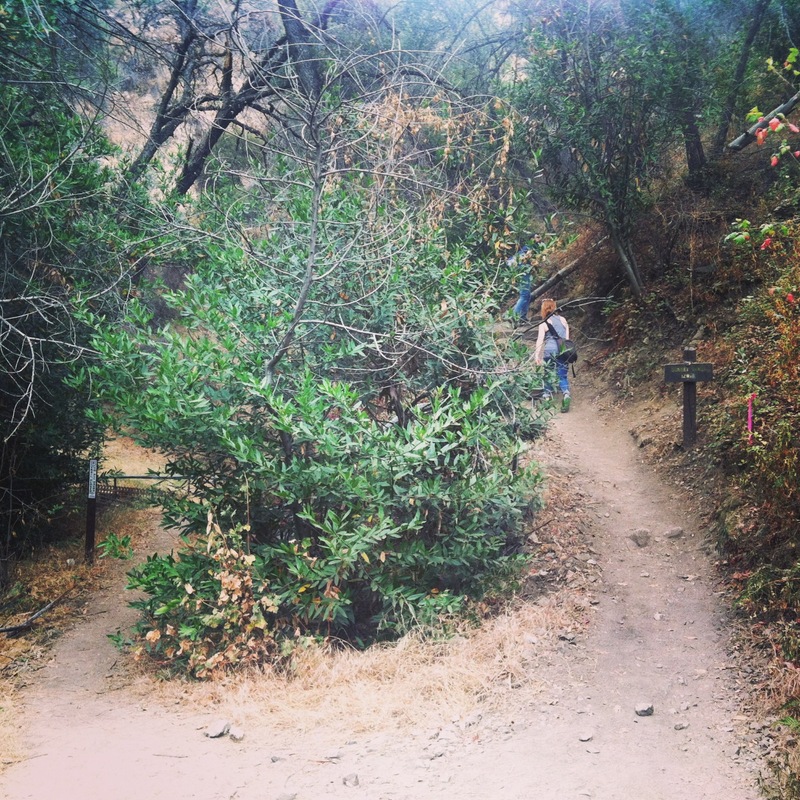 The trail will wind up a hill to a paved fire service road with a great view of Pasadena below. After you follow the road for about 500 feet, you’ll come to the trail marker below. Follow this trail along a ridge for another quarter mile, as it heads downhill. 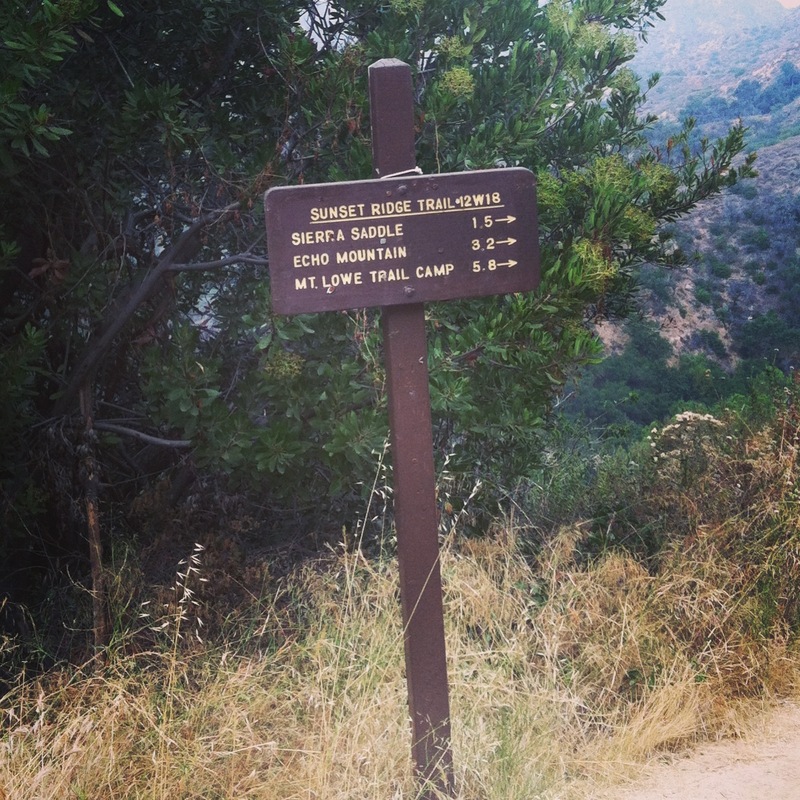 As the trail descends into the canyon, you’ll come to another fork with a trail marker that states the trail is closed. Take this route. Ignore my group walking right. We actually went uphill to the right for a while before turning around and going down the ‘Closed’ trail. This portion of the trail is beautiful, as it winds along a stream. The main portion of this trail will lead to Millard Falls, which may or may not actually have water flowing. This is when the trail splits off and begins to get difficult. Follow this trail through some foliage and across the stream. At some point, you’ll reach the first trail marker photo (pictured above). At this point, you’re about half way and the canyon starts scrambling up boulders. 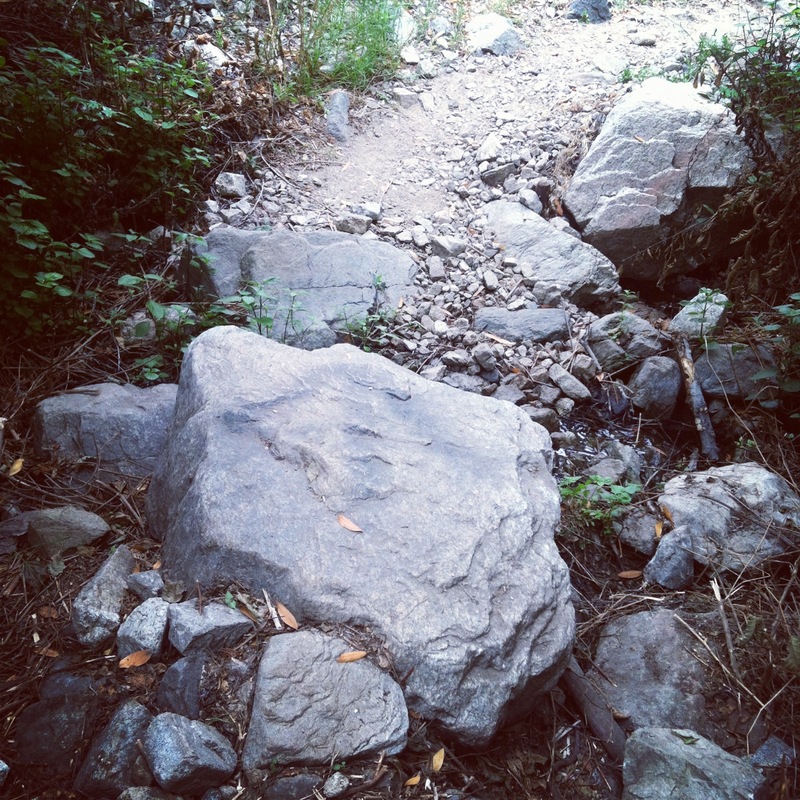 The trail will pick up from time to time, however it is broken up by sections of boulders. 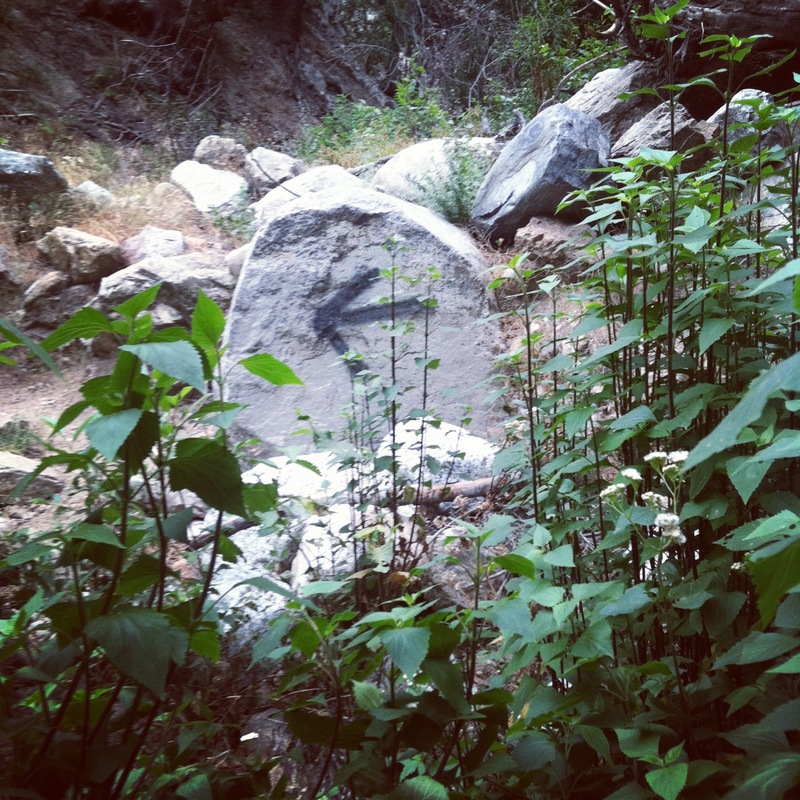 Fortunately the rocky sections have arrows painted on them, and as trail gets more difficult, more arrows will appear. Make sure you take some time to leave trail markers otherwise finding your way home will be just as difficult. Just as you begin to question where you’re going, you’ll come to a shaded dead end in the canyon. Up a small hill you’ll see a large, turn of the century piece of machinery with two huge wheels. If you walk about 10 feet past it, you’ll come to the entrance of the mine. It will be tucked behind a large rock, and will require some crawling. As soon as you enter, you’ll notice the temperature drop about 15 degrees. You’ll have to cross a small puddle using some planks on the ground. At about 50 feet in, the mine will take a sharp left turn. To the right, you’ll notice a puddle. This puddle doesn’t look like much, but this will go down about 55 feet. To the left, you’ll notice a shaft climbing up at about a 45 degree angle. Further down on ground level, the mine come to a underground water fall. It’s a pretty incredible sight, however at this point I felt a little uncomfortable being this deep in the mountain, so we turned around. 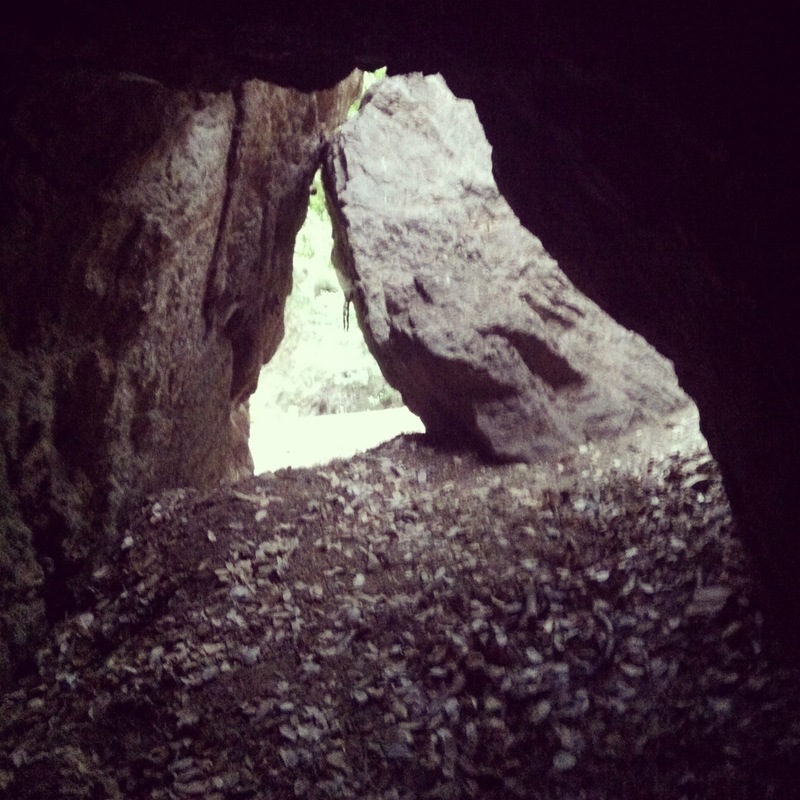 Being in a mine is different than being in a cave that was formed naturally. I’ve been in caves, but this was something different, and I wanted to get out just as much as I wanted to explore further. All in all, the hike is amazing and I would recommend it. Be smart, plan to spend at least 5 hours on the trail, bring lots of water, and expect to get dirty, sore and a little beat up.